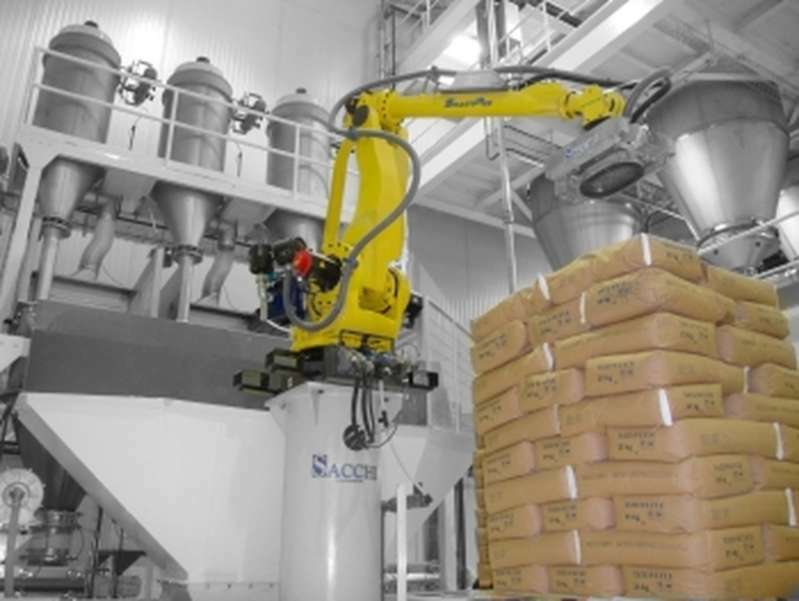 SmartPick is a robotic system that picks bags from one or more pallets, opens and empties them, and dose the powder or granules contents automatically following a recipe! 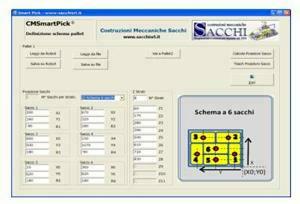 SmartPick is a patented robotic bag-opener, offered worldwide only by F.lli Sacchi. 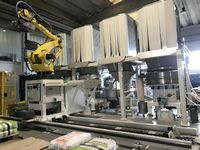 The bag is handled and cut by an anthropomorphic robot, this guarantees the reliability, traceability and high production levels. 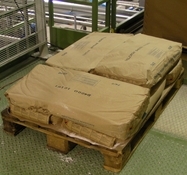 depalletizes and cuts bags in automatic mode from one or more pallet positioned in one or more cutting stations. 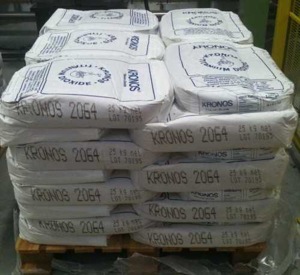 manages the traceability of raw material. manages pallet call from the storehouse. it's now protected by five patents which include bag-cutter system, bag gripping, bag cleaning, bag opening/cutting, bag emptying, and software. It's currently the only bag-opening / bag-emptying system in the world certified by several multinational corporations for food, baby food, and pharma field. 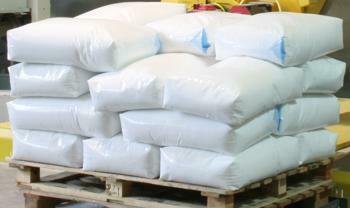 It has been approved by ASL as the solution to problems coming from bag handling and exposure to powders. 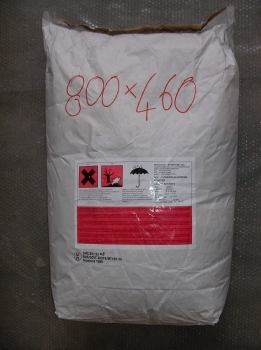 hundreds of customers, looking for bags lifter, have chosen SmartPick. 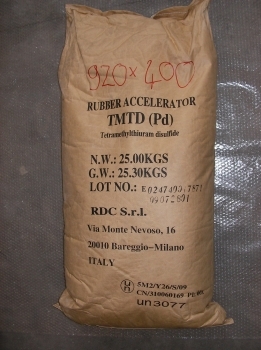 It replaces standard bags lifter and also automatizes bag cutting. it's easy to clean (production change involves only suction of a hopper) and by installing more hoppers, cleaning is no more necessary! it's modular and can be configured to handle from 1 to 20 pallet at the entry side and as many emptying stations. 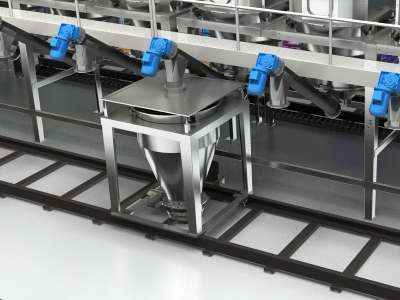 The system has been designed to be easily cleaned (production change involves only suction of a hopper) and by installing more hoppers, cleaning is no more necessary ! The system is modular and can be configured to handle from 1 to "n" entry roller conveyors and as many emptying stations. Time potentiality of the system can be increased later by adding additional robots. 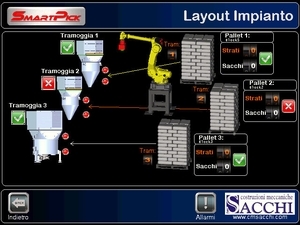 SmartPick was created to reproduce operators actions: cutting hoppers in the front, pallets on the back and the anthropomorphic robot (that means \manlike\) in the middle that picks required bags from pallets, cuts them into the corresponding hopper and empties them by shaking them down as the operator would do. 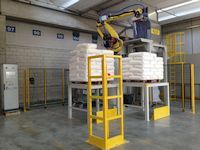 Bag gripping - SmartGrip - SmartPick is therefore composed of an anthropomorphic robot equipped with the patented gripping device SmartGrip and controlled by a neural and cutting-edge software. SmartGrip is an advanced head, result of ten years of development which combines different gripping techniques, an array of electronic sensors expressly developed that are read and interpreted by the neural software thousands of times per second. SmartPick equipped with SmartGrip can pick a bag up to 100 Kg, cut its packaging and empty the contents into one or more hoppers in efficient and productive way. ​In bags picking and cutting, the robot can handle all the above listed types by only one gripping device. To handle boxes, drums and buckets it's necessary to install optional devices. SmartPick can handle unlimited number of raw materials and cutting hoppers at the same time. SmartPick for recipes by bags number, it's the best solution when it comes to manage recipes by counting bags number of each component. All components, not having to be weighed, are inserted sequentially in the same cutting hopper according to the quantity set in recipe. 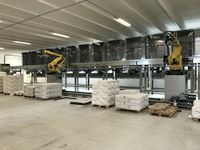 The robot keeps the hoppers at level : it guarantees that there is enough quantity in each hopper to make the following dosing by measuring the product level through weight sensors and by cutting, when needed, the correct number of bags. 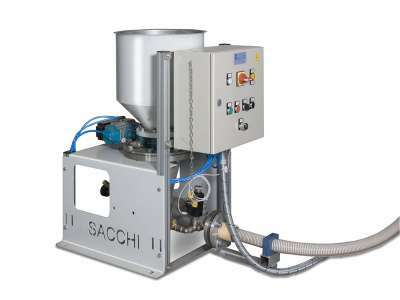 Cutting hoppers, with gravimetric configuration, can dose the product of the recipe in different ways according to the set specifications. 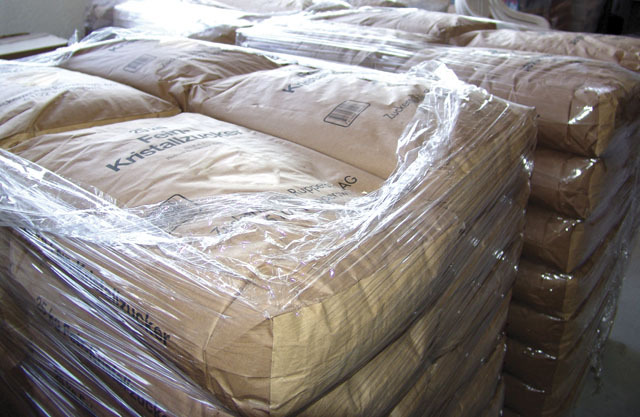 Standard configuration includes more cutting hoppers (one for each component), one SmartPick robort and one pallet of raw material for each cutting hopper. 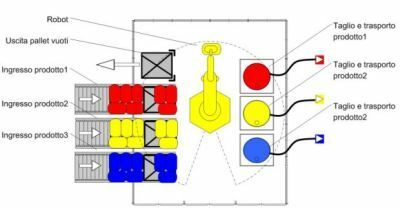 The dosed product can be moved to final destination in different ways, this allows to install SmartPick equipment far from process plant. 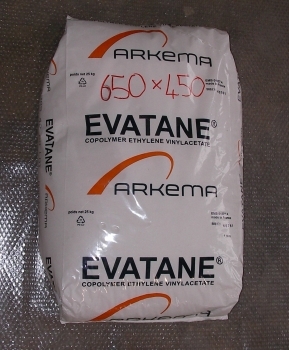 To collect the empty bag it's possible to install a removable container or a dedicated automatic compacting machine. SmartPick Runner is the best solution when a high number of components is required or you want to invest in a plant that can be expanded over time. SmartPick robot is installed at the side of Runner transferring system which is designed to work in environment with presence of powders. Cutting hoppers are lined up in front of the robot. Behind SmartPick there are the pallest, each at its own cutting hopper. 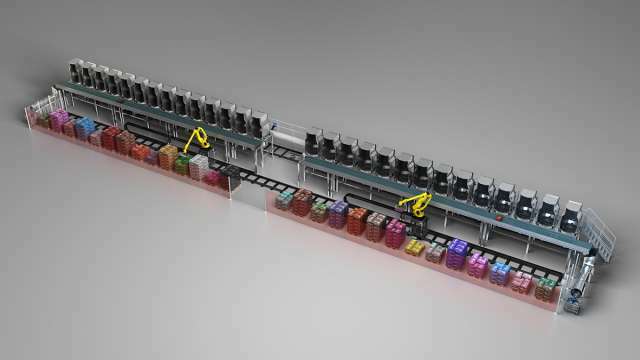 Runner is completely integrated into the automation line and it transfers the robot to that station where raw material reloading is required. 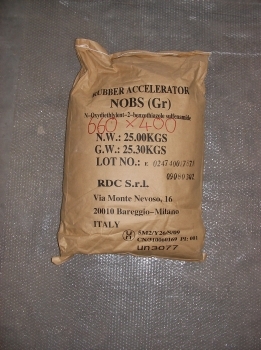 Therefore the robot keeps the hoppers at level : it guarantees that there is enough quantity in each hopper to make the following dosing by measuring the product level through weight sensors and by cutting, when needed, the correct number of bags. 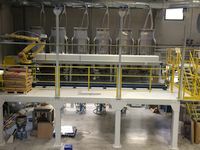 Standard configuration includes more cutting hoppers (one for each component), one SmartPick robort installed on transferring system and one pallet of raw material for each cutting hopper. SmartPick Runner with mobile scales. Flexible recipes preparation with two robots 28 components and 2 mobile scalescon bilance mobili. Preparazione di ricette flessibili con due robot 28 componenti e 2 bilance mobili. 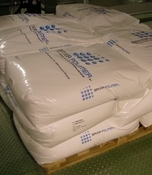 SmartPick in the production of bakery products.SmartPick process batches of food powders. 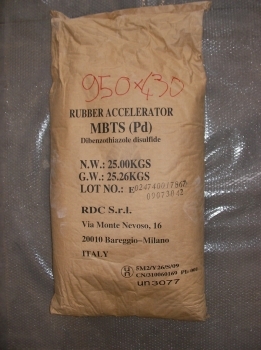 SmartPick in the production of masterbatch for rubbers. 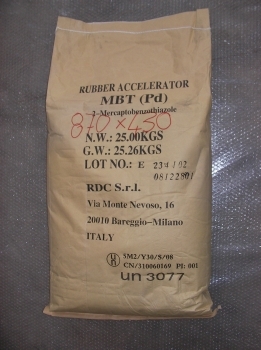 SmartPick for plastic materials additives production. 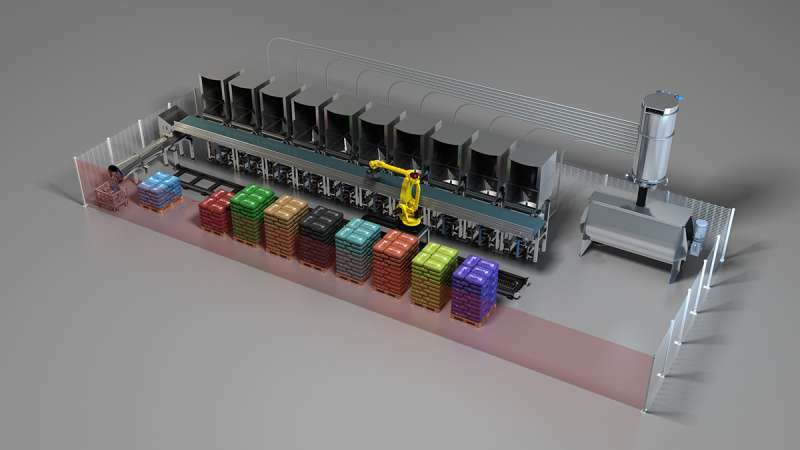 The robot feeds the required components from 4 loss-in-weight gravimetric feeders into a multi-product extrusion system in continuous mode. 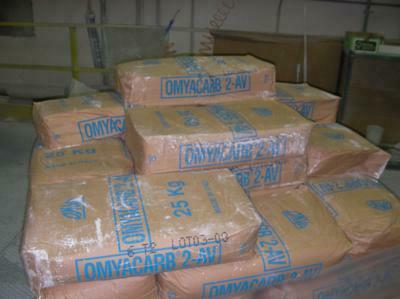 SmartPick for powders picking, cutting and emptying in chemical plastic industry (calcium carbonate e titanium dioxide). SmartPick for masterbatch sector. In particular, the system cuts, doses, mixes components according to a recipe controlled by SmartDose software. 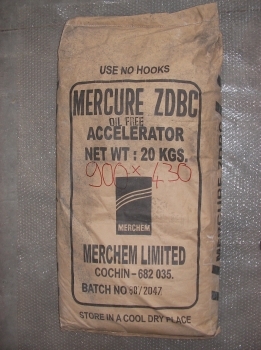 SmarPick for basic chemical sector. 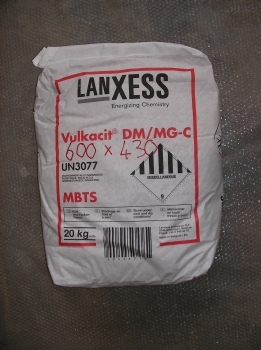 The system can feed toxic noxious products into a reactor according to preset recipe. The robot is installed in a corrosive environment (HCI). SmartPick for food industry. The system can feed 50 kg. coffee bags. SmartPick for food industry. The system can feed 50 kg. 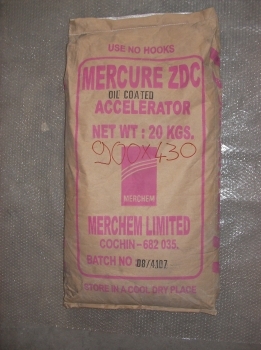 sugar bags into a dissolver for fruit juices production. SmartPick for plastic films extrusion both in films and food packaging sectors.The robot can feed both polymer and masterbatch. 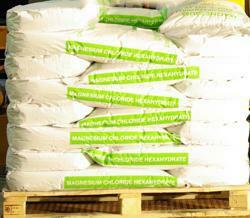 SmartPick for granular polyethylene grinding system. The cutting system SmartCut is directly interfaced with AIR pneumatic conveying in order to load silos installed 70 meters away. 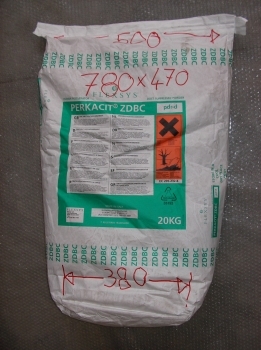 weight 20Kg. 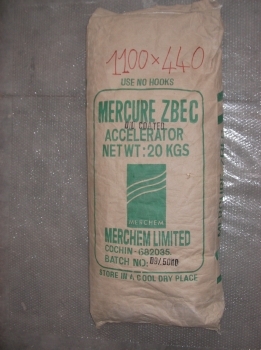 Wheat seed treated with pesticide. SmartPick is the only system of bags depalletization, cutting and emptying in the world protected by more patents which include bag-cutter system, bag gripping, bag cleaning, bag opening/cutting, bag emptying, dosing and the software that manages all these functions. SmartPick is currently the only bag-opening / bag-emptying system in the world certified by several multinational corporations for sanitary cutting and emptying of bags in food, baby food and pharma field. SmartPick is currently the only bag-opening system verified by ASL that simultaneously solves the problem of bag handling and powders exposure. It pays for itself: return of investment from 6 to 20 months. It solves any problems with ASL: SmarPick has been considered by ASL as a resolutive innovation for problems due to dust exposure or loads handling. It allows staff reduction: 1-2 workmen per shift for every cutting position. It can handle up to 200 products at the same time: continuous dosing process, batch and recipes preparation, silos and hoppers filling. It can eliminate dust from working environment: thanks to the integrated suction hoods and to the compactors for empty bags, there is no dust dispersion in working environment. 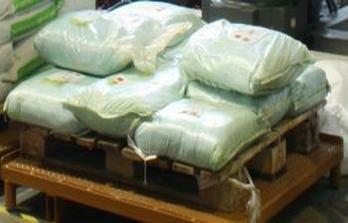 It cuts only the necessary bags and not one more: no more half bags and left-over stock! 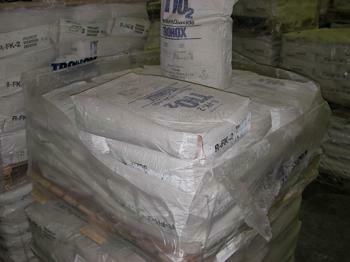 Traceability: it manages the historical data of employed materials, quantities, batch and so on. SmartPick is an industrialized and full-developed product: the customer, who buys SmartPick, is sure to receive a product and not an experiment! SmartPick allows you to gain access to several Italian and European financing concerning safety matters: a lot of our customers have been rewarded with public financing. You can test it before buying it: come to our offices and test your own pallet, a SmartPick robot is waiting for you! SP CalculateIt! - Calculate-It! 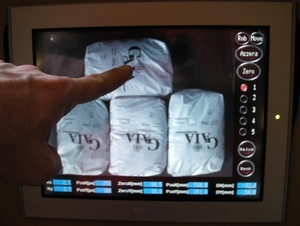 function allows to program a new scheme in few seconds, by selecting bags position from a graphic choice menu and specifying the bag dimensions. 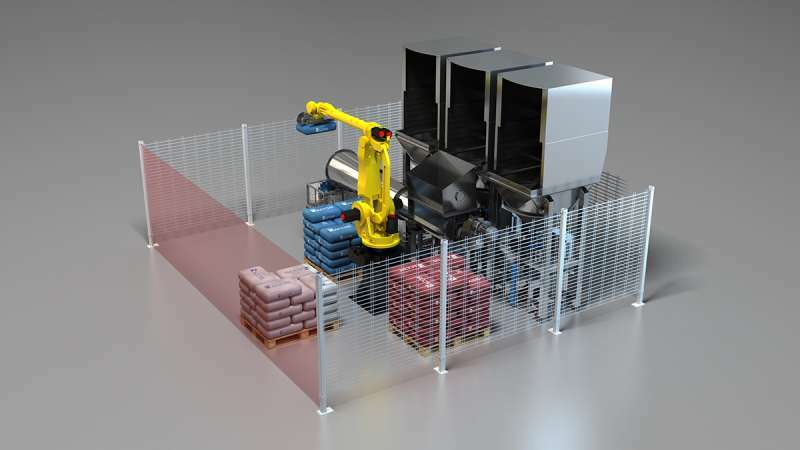 SP Vision - Thanks to performance offered by modern artificial vision systems, it's now possible to manage new schemes of palletization by real-time systems. 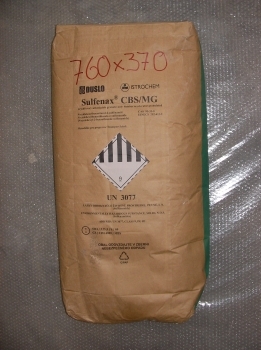 It's enough to provide the sample picture to the system to actuate bags identifying. SP-Interactive - It represents the last frontier of robotics interactivity. in addition to standard error messages there are photos of plant details and pictures coming from the video cameras to guide the operator in problem solving. SP-Extrusion - SW module developed to feed in continuos mode the gravimetric feeder for continuous extrusion processes. 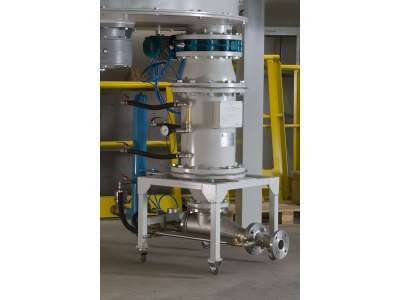 SP-Batch - SmartPick is also suitable for mixers feeding when it's important to manage batch of powder additives and granules according to pre-set recipes. The SP-AT L2 software is used when it's necessary to manage a wide variety of materials and dose them according to exact sequences. SP-AT L2 is suitable for improvements ad-hoc when interface with server and management softwares (SAP, AS-400, dbm Oracle, SQL Server etc.) is required. 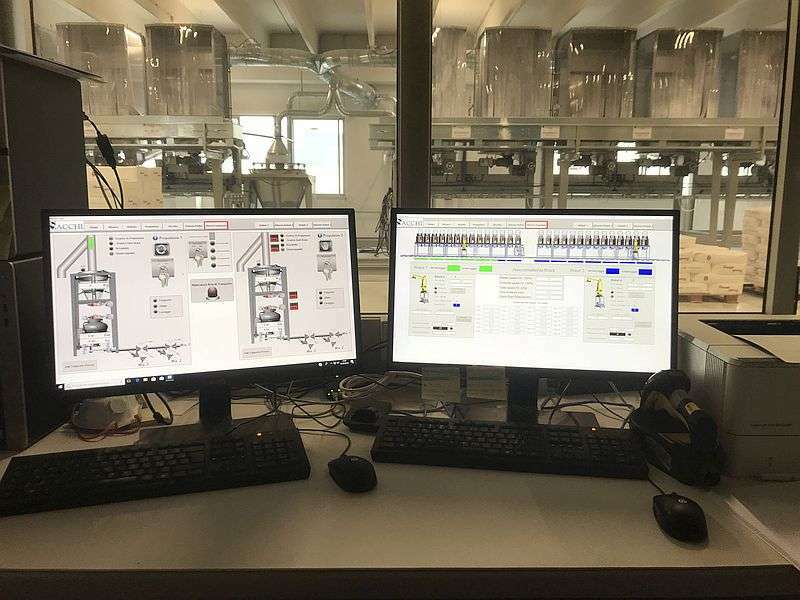 SP-GT: SP SOFTWARE "WITH SIGHT"
SmartBatch comes from 40 years of experience in dosing plants manufacturing and it represents the development in management of components recipes. The batch is based on a database for data creation and storing, a powerful editor for recipes/parameter and an easy intuitive graphic interface. It mainly concerns the storing of raw materials and components definition and the editing, saving and putting into production of complex recipes. If you are looking for more productivity, high quality or waste reduction, the solution is only one: robotic automation. To survive in global market, companies have to focus on supply-chain total costs, products quality, productivity and marketing times: these are the factors that make the robotic a good investment. To compete with low-cost countries, the best solution is no more the production outsourcing: to extend the supply-chain, with all the logistical problems resulting from this choice, can neutralise the costs saving in short time. For this reason, today, many companies chose the robotic automation to improve quality and productivity. Speed, repeatability and accuracy are the main benefits coming from robotics. Whether you are speaking of working a component, welding or packing pharmaceutical products, the robots can do the work in the fastest way and get high and uniform quality. 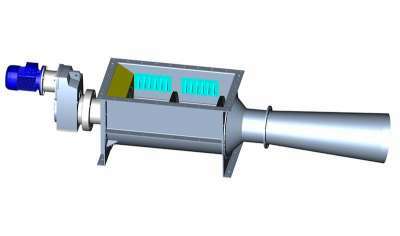 That’s why they can be perfectly integrated in almost all phases of industrial processes. Investment on robotic system can be written off in short time. Making a direct comparison with manual work on same production amount, it’s possible to see that a profit on the capital invested for the robotic system is gained after few years. If also the productivity profits, achieved normally by a robotic system, are included, payback time of the capital is even shorter. Robot prices are cheaper; they can offer not only better performance, quality and flexibility, but can be reassigned according to new production requirements. 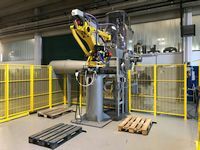 It’s possible to use only one robot to do multiple operations, among which cutting, welding and finishing, in order to reduce general cycle time, increase quality and achieve a faster payback of invested capital. 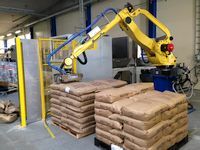 In comparison to traditional productive automation, robots offer further benefits such as high flexibility, faster replacement and a more important surplus value to processes when running secondary operations. 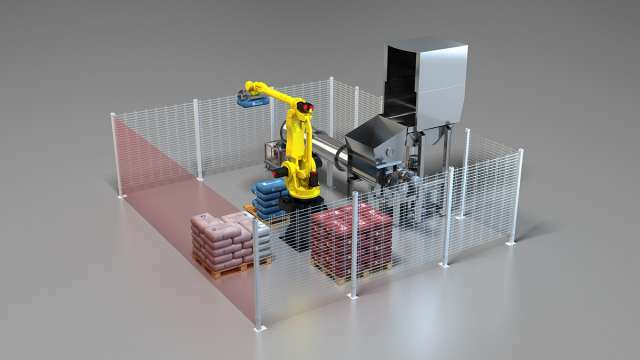 Thanks to sophisticated software, robots can be reset off-line, allowing the quick start of new products without being forced to stop the production in progress. Robos work 24 hours per day. Robot cells can be very compact and therefore occupy a reduced production space.Robots can operate in extreme environment conditions, such as dangerous areas or clean rooms. In conclusion, robots reduce significantly the operating costs and contemporaneously increase the production. 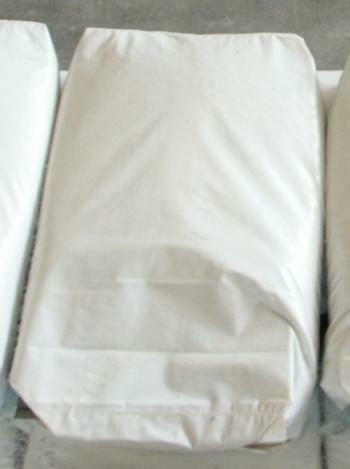 For difficult to convey and non free flowing powders, dense phase conveyor at hoh density. Worldwide exclusive! 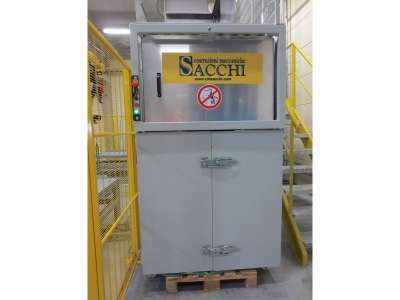 Automatic horizontal screw compactors for empty bags. 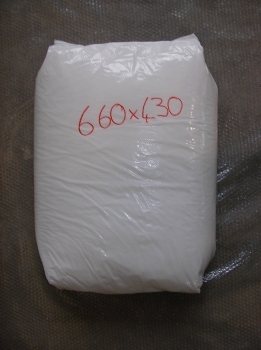 Perfect for high resistance bag. 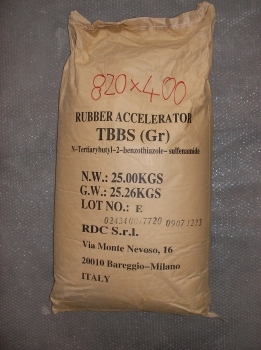 Automatic baler compactor for empty bags. Perfect for plastic bag and cardboard. * I authorize the treatment of personal data (Read disclamer). This is a private video. Leave your contact details, we'll send you a link to watch it!